Hey Tek-Ninjas! 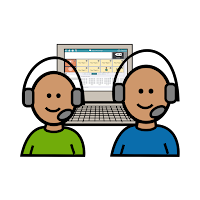 More than occasionally speech therapists ask me "how to teach core language, like fer real". I routinely direct them to make a free Professional account at www.mytobiidynavox.com. The answers and the materials are there. For free. Fer real. Core language is ideal because 85% of the words exchanged in everyday communication come from a relatively small pool of roughly 300 words. By providing systematic instruction in these words, we give people increased power as communicators and target their literacy skills at the same time. Words like "I", "Want", "More", "You" generalize across sorry many conversations. Mastering them opens up true spontaneous conversation. 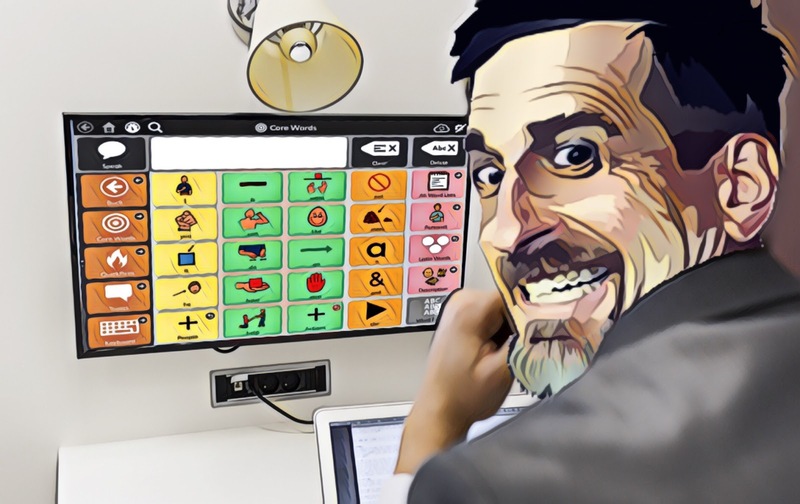 Tobii Dynavox offers free research-based instructional routines, found the in the Quick Lesson Guide. 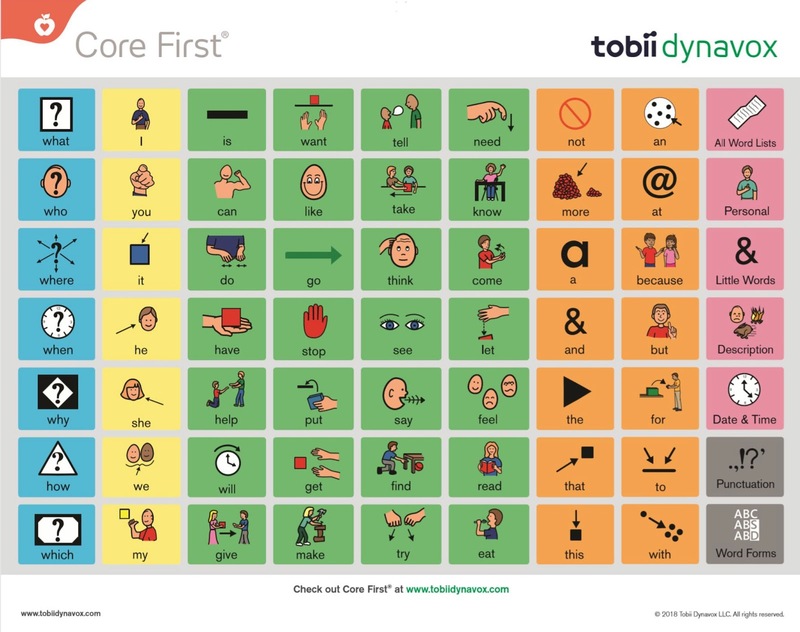 And, while I'd like you to jump both feet first into the Tobii Dynavox world, I'd like to point out that you can use these lessons with anyone learning core language. Within the account, you can also print out overlays for a variety of tech devices. 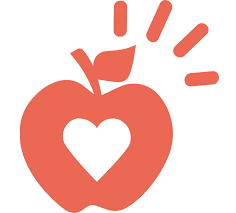 Even if you aren't a "professional therapist", you can also find much of this content in Pathways for Snap, another free tool that runs on iOS or Windows 10. Hey Tek-ninjas! Have you seen the Tobii-Dynavox FREE downloadable Snap + Core First Core Board? ❤️ Perfect for printing and sticking up in your classroom or home! Hey Tek-ninjas! Recently I received a terrific list of webinars that I would have loved to have been present for....and now I get to watch them after the fact. I thought some of you might be interested in watching some of these as well so here you go.